The second day we set off to Punakha (about 3 hrs away). It's a rural area but to get there you must drive over the. Dochula pass, the second highest road pass in the trip at 3010m (almost 2 miles up). The day before we purchased some prayer flags for all of us and out guide Nima helped us hang them in the hills above Dochula Pass. 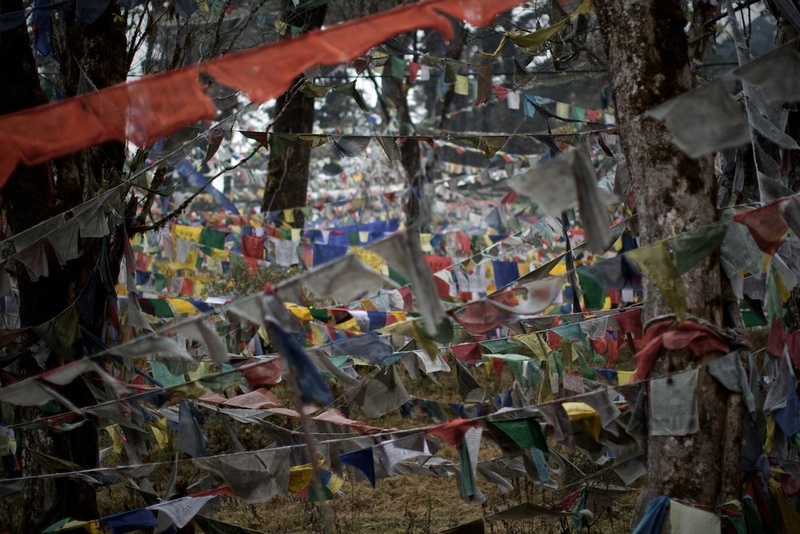 Prayer flags are a tradition in Bhutan and other Himalayan countries. Basically they bring good luck and merit to those who hang them as well as to whom you hang them for. Nima showing us how to hang prayer flags and reciting a pray for us. 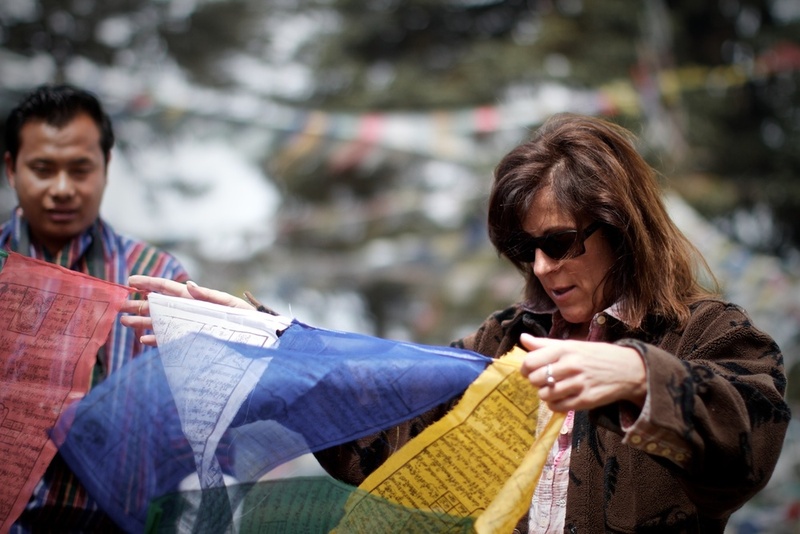 Patty hanging her prayer flags. It's a choice place to hang prayer flags because of the constant wind so all three of us hung our flags there. 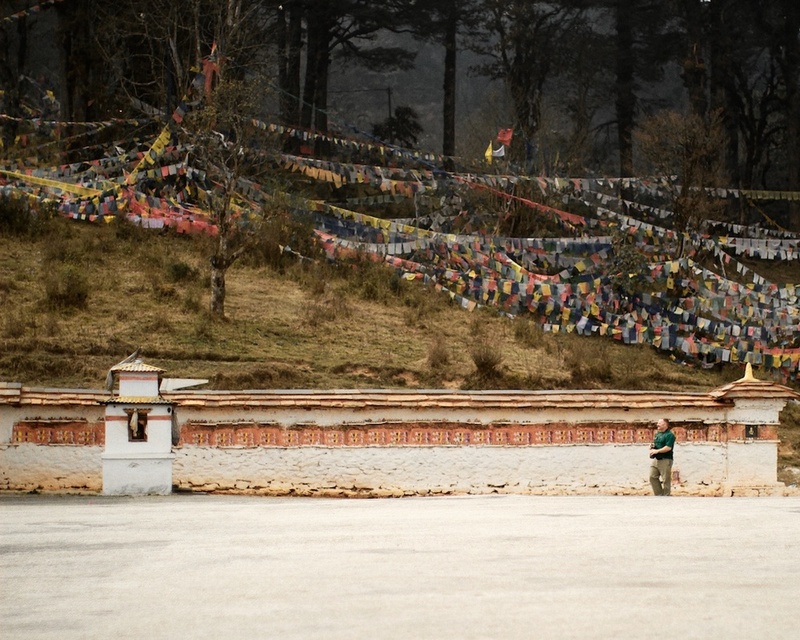 After a short tea break we continued to warmer climate in Punakha.